Earlier this month, on December 2nd, University of Alabama student Kelsey Hall sent a tweet about a Christmas tree that would determine her fate for the rest of the semester. By the next day, December 3rd, she already regretted pressing send. But she had made a deal with the internet, and now she had to follow through. 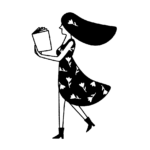 What could have been such a bad idea that the internet loved it, but Kelsey regretted everything? Don’t worry. We’ll explain. You know those viral tweets someone will say “25,000 RTs and I’ll stop smoking” or whatever else promise they’re making to themselves AND the internet, should they get the amplification they desire? Yeah, Kelsey posted a tweet like that. Only it wasn’t about giving up cigarettes or asking Wendy’s for free chicken nuggets for life. No, Kelsey got a bit more creative than that. She posted a photo of herself in a Christmas tree costume and said that she’d wear it to all her classes for the rest of the semester. And she was only asking for a measly 1,000 retweets. She probably thought only her friends and classmates would see it. But oh, did she underestimate the power of the internet. Because her those 1,00 tweets quickly became a reality — and then some. 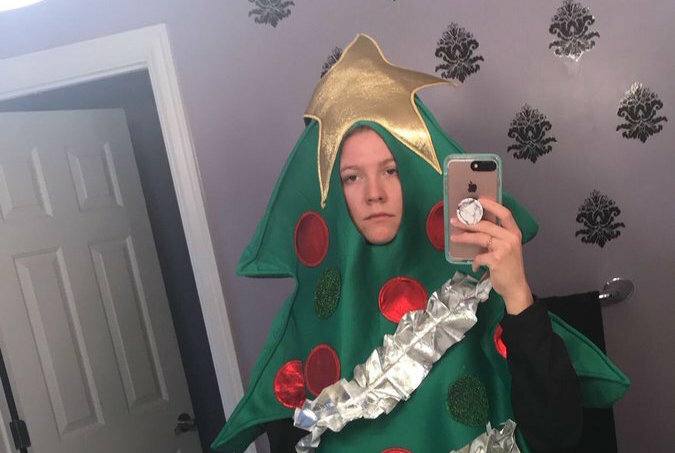 Check it out: the viral Christmas tree costume tweet that started it all. The immediate regret. But it’s too late for Kelsey. She’s already been retweeted tens of thousands of times. She must commit. The UA student kept posting about her regrets. But the internet is forever, and people would not let it go. Don’t worry, though. She came through. Kelsey Hall is a woman of her word. She became a celebrity on campus, with people stopping her to get photos everywhere she went. Luckily, Kelsey just had a few days of classes left. She finished strong yesterday, and kept up her spirits throughout the process. ONE. MORE. DAY of classes 🙌🏼thanks for beleafing in me.